It’s a new week!! Full of new mercies. Full of fresh possibilities and potential! Sweet the Lord. I just love Him. We don’t deserve His grace and endless, second chances, but He lavishes us in them. I am thankful. Mmm. Cozy in His love today. Here are my Lunch Sack Seeds for this Monday…. 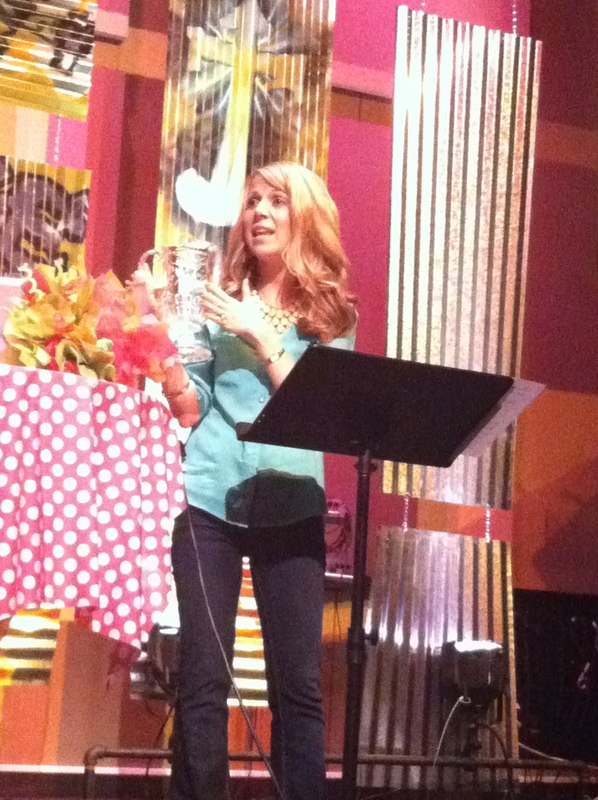 Yesterday, I shared about Miss Joy. I am enjoying her old Bible… my new/used/cute/Goodwill Bible. Hence The Message paraphrase of this familiar verse…Cast your Cares on the Lord and He will sustain you. 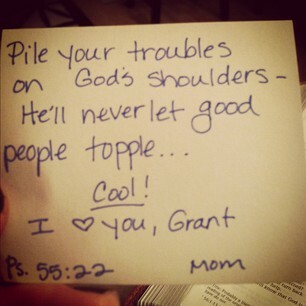 I thought my visual-learning boys would be able to picture piling worries on God’s shoulders. Love. Daddy got in on the Lunch Sack action today, too…. D is for DELIGHT!! 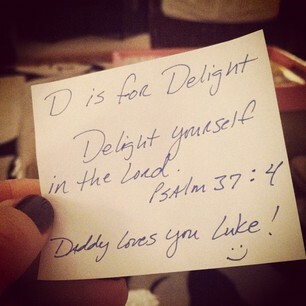 Delight yourself in the LORD, Lukie!! 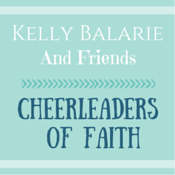 Wanna pray for your kiddos with me today? Lord Jesus, we thank you for your goodness to us. Thank you for our children. Big or small. College, Teens or toddlers…what gifts they are! Our lives would not be the same without them. Lord, give us high sensitivity to where You are today. Where are you at work in our hearts? Refine us, Lord. Refine them, Lord. MAKE US LOOK LIKE YOU. I pray for ( name children ) this morning. I pray he/she/they would grow in “wisdom and stature and in favor with you and with men” (Luke 2:52). I pray they would grow to love you “with all their heart soul mind and strength and they would love their neighbor as themselves” (Luke 10:27). I pray your Holy Spirit would fill our home to over flow today. I bind the enemy from our home, in Jesus Name. I bind the enemy from my children, in Jesus Name. He is a defeated foe. Powerless against You, Lord. Powerless against Your Word and powerless against the authority You’ve given me…in Your Name. 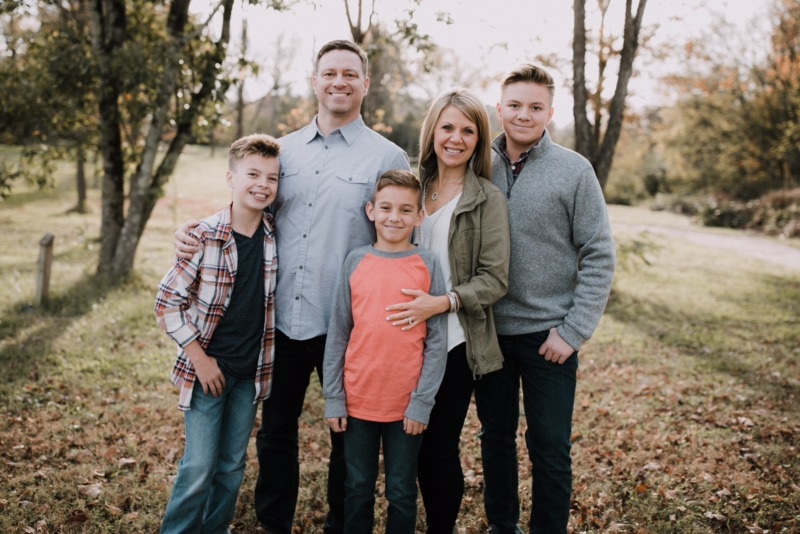 So this morning, I speak Your name over my babies….JESUS…. I cover my children in the name of JESUS. Mmm. Thank you, Lord. Amen. 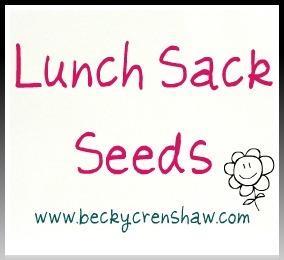 Do you have a Lunch Sack Seed to share? Also, don’t forget to join us on Facebook. We are reading through the Gospel of John! Such a sweet prayer, Becky, and I love your verse from The Message! Here’s is what I wrote for our almost 9-year-old . . .
and for our 5-year-old twins . . .